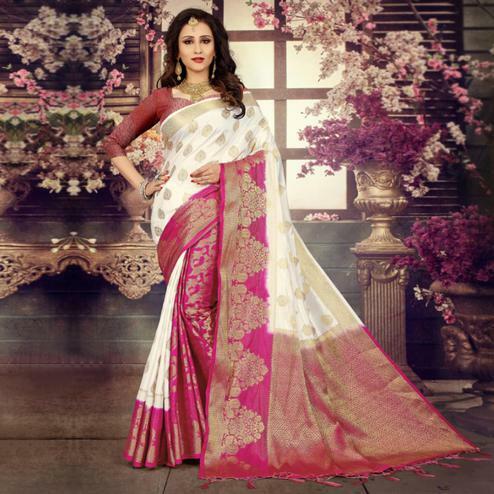 Featuring white top dyed polyester fabric saree which has been made rich with it's weaving work done in floral leaf design at entire body whereas the border and lower end of pallu has weaving work background showcasing geometrical design. Saree paired with matching color and fabric blouse with similar design border. It's a perfect saree to wear for parties functions and festivals.